My brother made a mobile shower using PVC plumbers piping... I attached it to a back pack under my home made clown costume. The shower curtain I used my hand prints to wiped red paint everywhere looking like blood smears!!!! 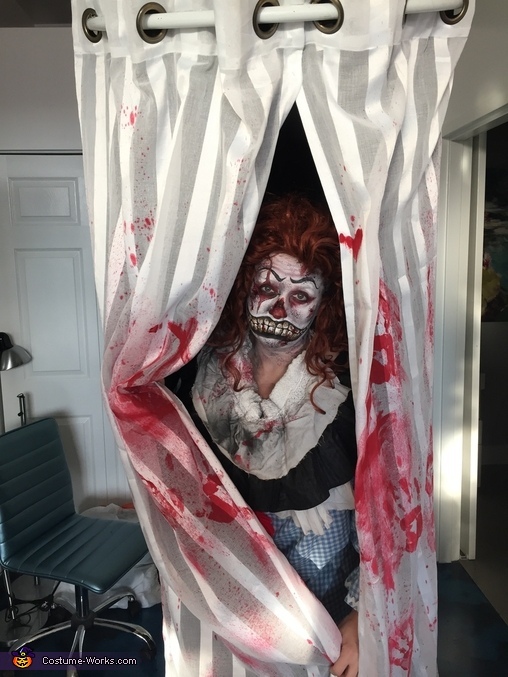 I did all the makeup for the costume as well.